There is always constant change between wind and rain, snow and heat – depending on your region a door has to suffer much. For the model Brooklyn, produced in aluminium, the changing seasons pose absolutely no problems. A high quality powder coating finish hardens the aluminium doors against all forms of weather change. Additionally, this form of surface treatment makes these doors extremely easy to clean and maintain compared with wood or plastics: Cleaning once every six months is sufficient to get them back to their previous shine. The Brooklyn is no exception. The Brooklyn model of exterior door shines through yet another way – in its design. This draws attention through its clear linear form. Here, the fine combination of glass together with aluminium especially makes this exterior door subtly modern. The finely structured, slightly frosted ornamental glazing ensures light for the home. However, whatever takes place indoors cannot be seen from the outside. Three separate layers of seals within the exterior door construction provide optimum thermal insulation - ideal for the house’s heat balance. The aluminium exterior doors of the Brooklyn model are also available with two different profile types: The profile “Classic Style” is flush on the outside and has a total construction thickness of 82 millimeters. 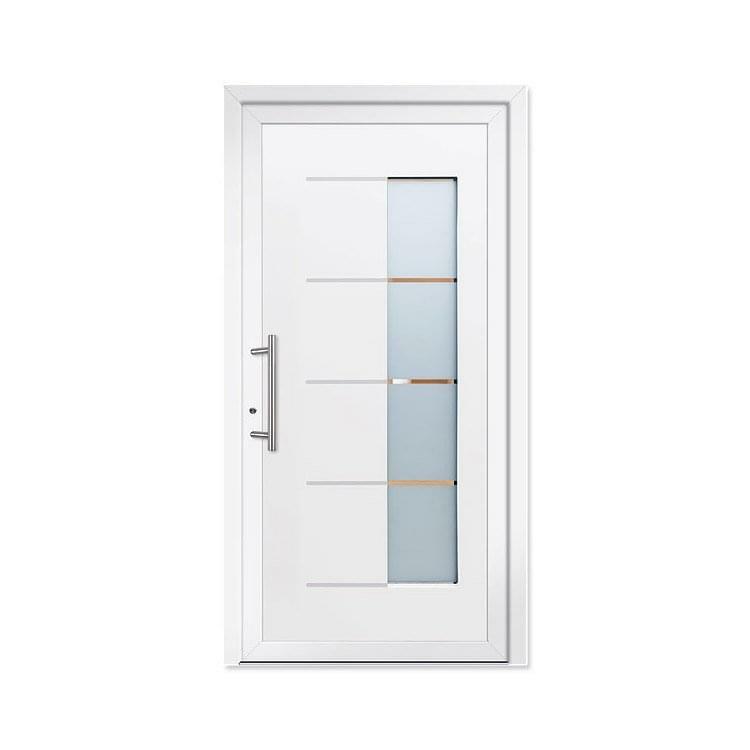 The door profile “Modern Style” on the other hand is semi-recessed and measures 92 mm. Entrance door Model Brooklyn has a high quality, modern appearance with external grooving and frosted glass in clear lines.